McLean, VA – December 5, 2018 – The B&A Executive team and staff welcomed the new Vice President of Innovation, Mohith Narayanan, to the organization on Monday, December 3rd. Mohith will lead B&A’s solution development strategy, customer engagement, IT operations, and manage the organization’s research and development activities. Mohith will play a strategic and vital role in B&A’s business development and proposal efforts as well. Mr. Narayanan has over 16 years of experience in technology and a proven record of applying program management, strategic innovation, and business development to deliver exceptional business results across both public and private sectors. His technical and business leadership skills include strategic planning, technical innovation, business creation and growth, and building trusted customer relationships. 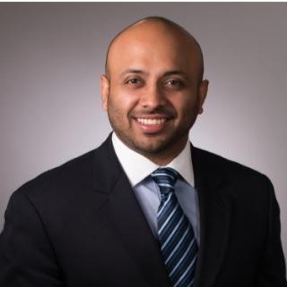 Prior to joining B&A, Mohith worked as a Senior Director for General Dynamics Information Technology (GDIT) managing many programs including GDIT Cloud FedRAMP Accreditation, Data Migrations, and Agile Transformations. Mohith was also responsible for leading the Solution Engineering Group for the federal health and civil division helping government clients develop innovative solutions within Cybersecurity, Cloud Computing, Supply Chain, Data Analytics, and Enterprise IT. His focus included leading solution architecture on pipeline activities greater than $100M, shaping procurement opportunities, and collaborating with customers to execute successfully and improve business results. Mohith holds bachelor’s degrees in Electrical Engineering from University of Maryland, College Park, and in Mathematics from Bowie State University and a master’s degree in Management of Secure Information Systems from George Mason University. Founded in 1988, B&A is headquartered in McLean, VA and is a leading information technology systems integrator providing solutions through four primary service offerings: Modernization & Transformation, Integration & Analytics, Operations & Enablement, and Human Capital Management.